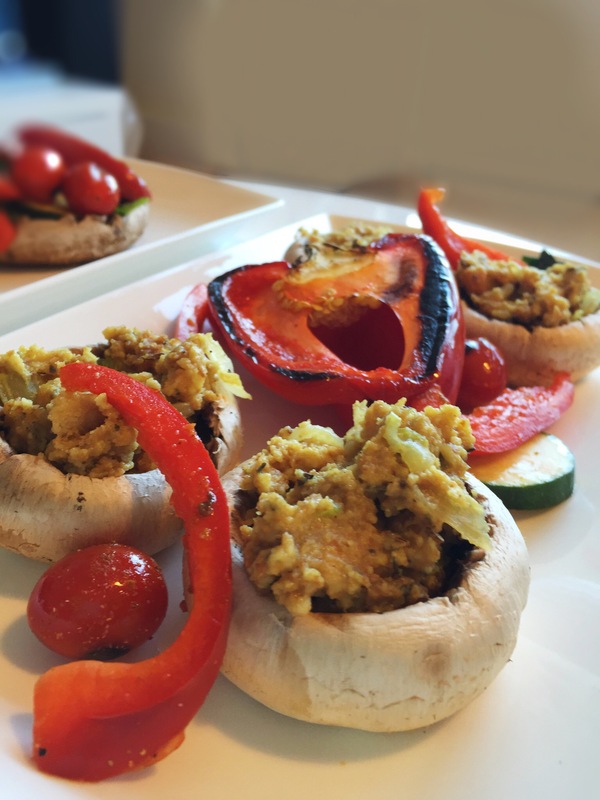 Mushrooms are actually a great addition to the vegetarian’s diet. 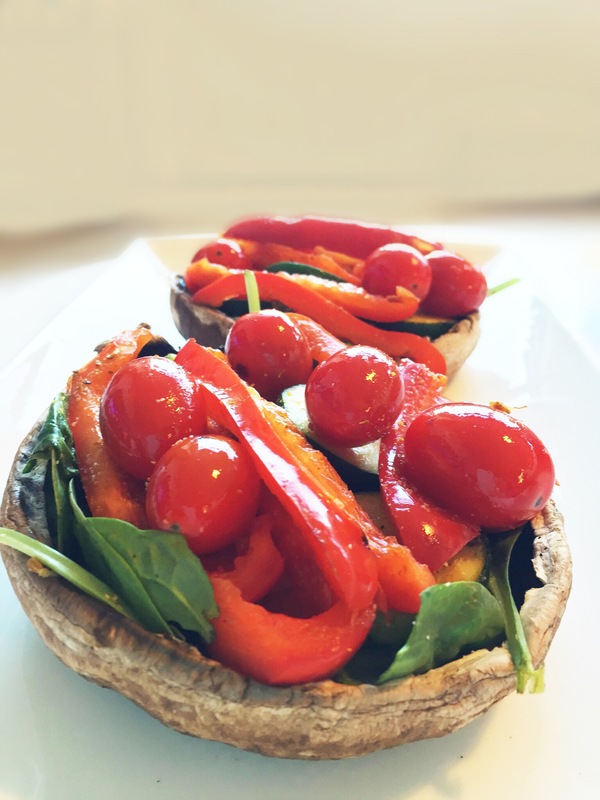 Mushrooms are low in calories, fat-free, cholesterol-free, gluten-free, and very low in sodium, yet they provide important nutrients, including selenium, potassium (8%), riboflavin, niacin, vitamin D and more (source here). What’s not to love about that? I personally love mushrooms, but some people can’t stomach them on their own, so stuffing them adds a great additional flavor profile. 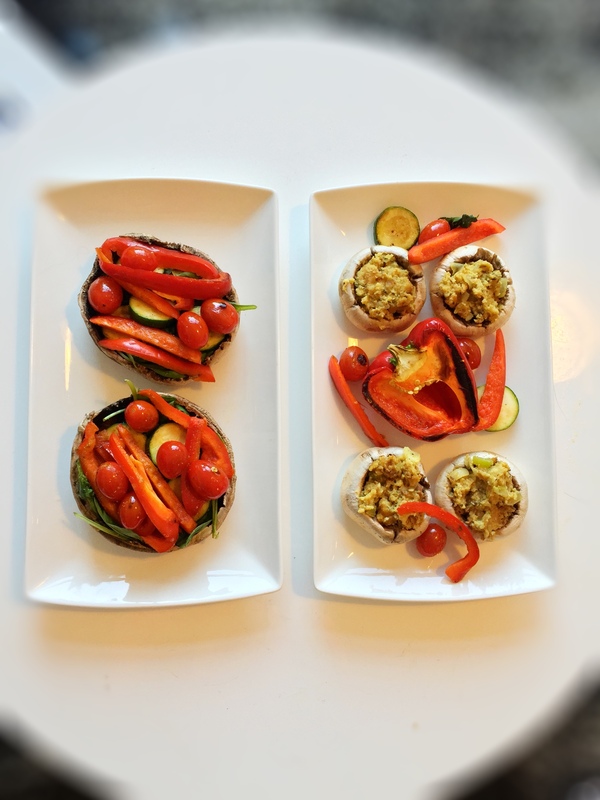 To make stuffed mushrooms, here are two options: Bright Veggie Stuffed Mushrooms and Traditional Stuffed Mushrooms. 1. Clean out mushrooms and place empty mushrooms on a cookie sheet lightly oiled with coconut oil. Lightly salt and sprinkle with seasonings. Cook at 375 for about 10-15 minutes. 2. 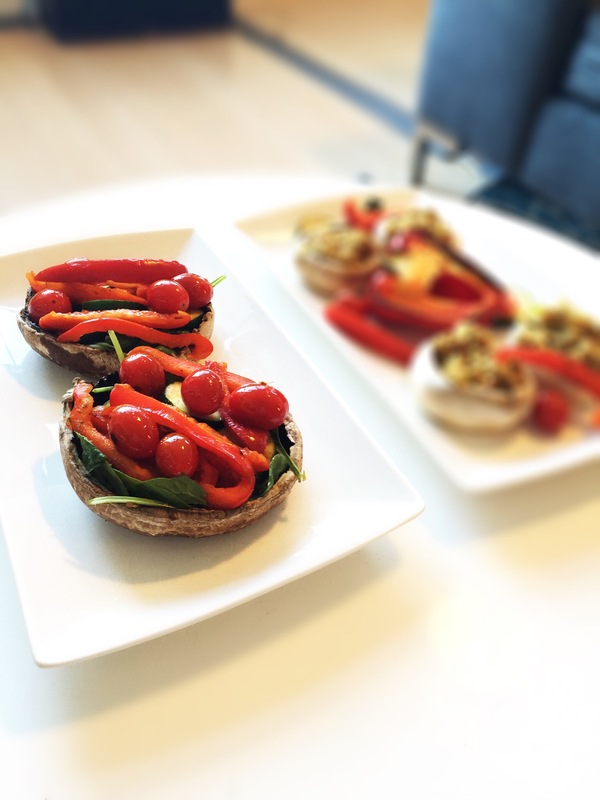 Roast tomatoes on separate pan in oven with mushrooms. 3. Lightly sautee all veggies (excluding baby spinach), keep crisp to preserve nutrients. Add seasonings to taste. 4. 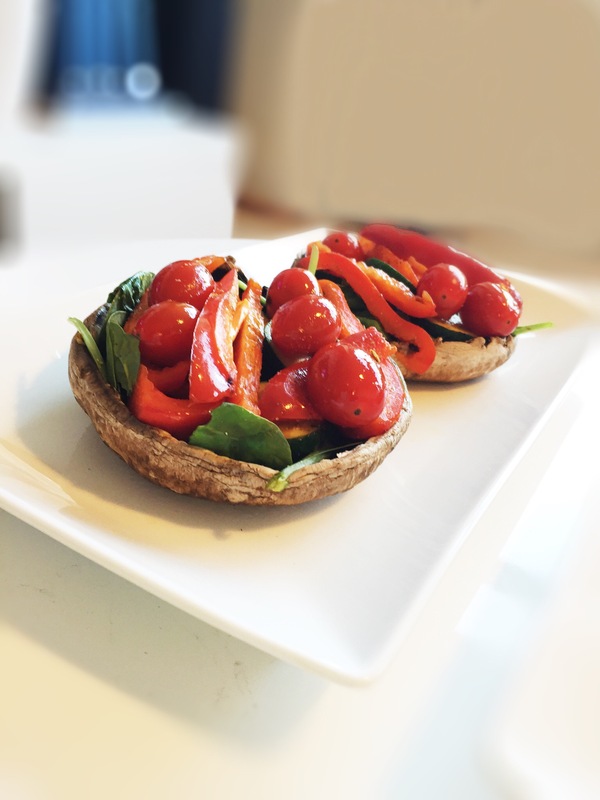 Removing mushrooms and tomatoes, layer veggies onto mushrooms and cook an addition 7 minutes. You can also add a layer or rice if you want a little extra substance. 1. Pre-heat oven to 375 degree. 2. Clean out mushrooms, and place on cookie sheet greased lightly with coconut oil and cook for 10 minutes. 3. Take out, add stuffing and cook an additional 7-10 minutes till stuffing is lightly toasted. 4. Serve warm as as lovely appetizer!